Active Challenge is a non-profit organization run by dedicated professionals who desire to see young women grow strong and confident. Action is necessary when your physical body prevents you from meeting every challenge in life with the energy and confidence to succeed. It is our physical body that holds us up, that allows us to leap into life instead of watching life from the sidelines. A strong, healthy physical body supports a strong and healthy mind with balanced emotions and overall good health for a lifetime. Active Challenge runs a series of remarkable adventure programs where young people develop healthy habits, and build confidence. 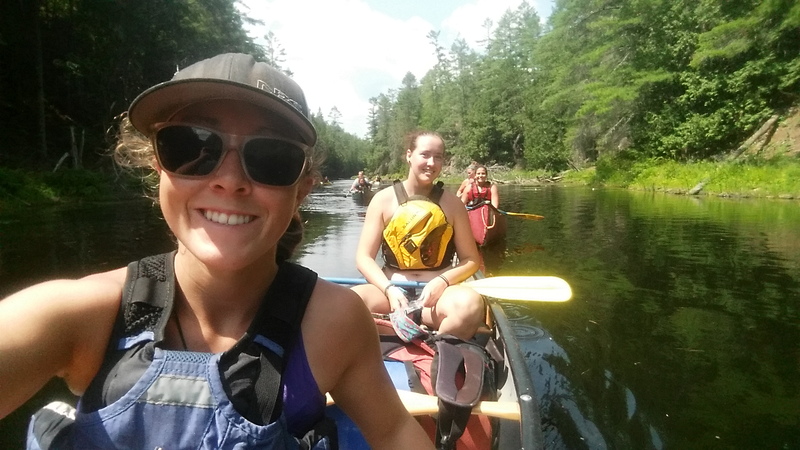 Located at our beautiful Bear Creek Outdoor Centre near Ottawa, Ontario, Active Challenge offers instruction in adventure-based programs such as canoeing, whitewater rafting and beginner rock climbing and rappelling. What an exciting way to get in shape and have a great time! Our flagship program is the classic Active Challenge program for young women that has been changing lives since 2006. At Active Challenge you’ll make lifelong friends with young people your own age, learn to love new adventurous activities and make permanent lifestyle changes at a program that will change your life. Because you’ll be setting and working toward your own personal goals alongside young women (or men) just like you, you’ll find the environment extremely safe and supportive. Active Challenge is designed so you will be supported and encouraged to exceed your own expectations of yourself. Active Challenge does not put you on a diet. We follow the Canada Food Guide to Healthy eating and exercise appropriate portion control. We help you develop healthy habits and give you strategies for achieving a healthy weight over the long term. Active Challenge has been featured in Macleans Magazine, Today’s Parent and Several other publications. The staff at Active Challenge combine experienced outdoor adventure professionals with highly qualified clinicians. All of us are absolutely committed to helping your our clients achieve permanent behavioral change and build confidence. Most of all we are committed to having a great time doing it. Our nutritional program at Active Challenge follows Canada’s Food Guide to Healthy living. We serve three healthy meals a day and 3 snacks so our campers never feel hungry. Our Registered Dietitian spends time teaching campers how to make a plan for fueling a healthy lifestyle by choosing foods well and getting the amount of nutrition needed to maintain weight loss and a healthy metabolic rate. 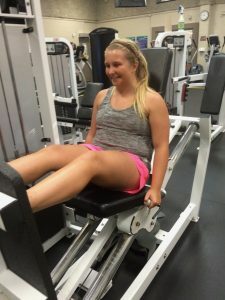 It is true that campers come to Active Challenge knowing what they will lose, pounds of extra body fat that is getting in the way of some of the things they want to accomplish in their lives. What surprises most campers is what they find at camp, confidence, energy, commitment, tolerance of themselves and others, strategies for success in all areas of their lives and strong supportive friendships built to last. The Active Challenge program, though structured, is filled with variety. Some of the program however is consistent, designed to foster habits that will stick with the camper long after they leave camp. Active Challenge campers use journals to record their choices and actions every day. Journaling has been a proven technique of continued success toward every goal. Active Challenge campers rise early and go for a hike every morning. Walking every day is a powerful habit for health. Active Challenge is a traditional Canadian camp located on an incredible 500-acre private wilderness retreat near Ottawa Ontario. 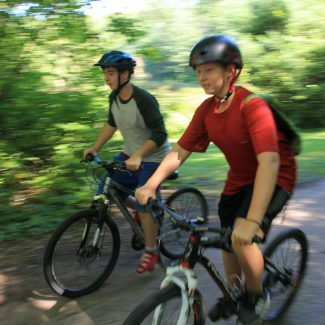 Our property has 2 private lakes and miles of trails for hiking and mountain biking. 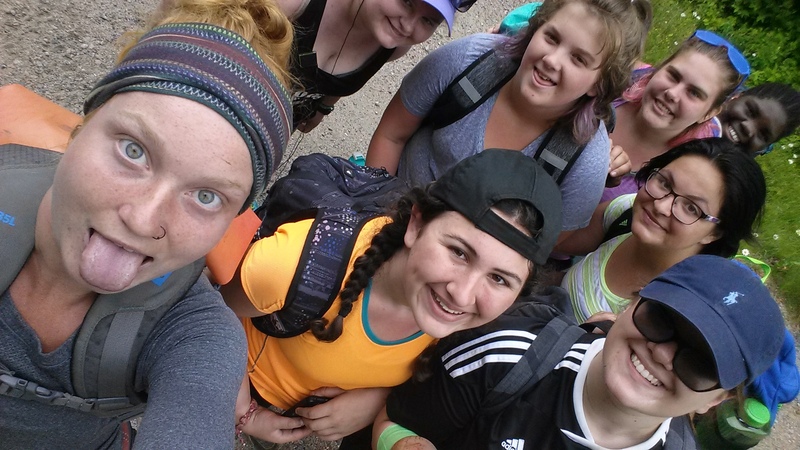 All of our campers will go on overnight hiking trips and canoe trips off camp property. Campers enjoy all of the games, crafts, special events and activities of a traditional summer camp. 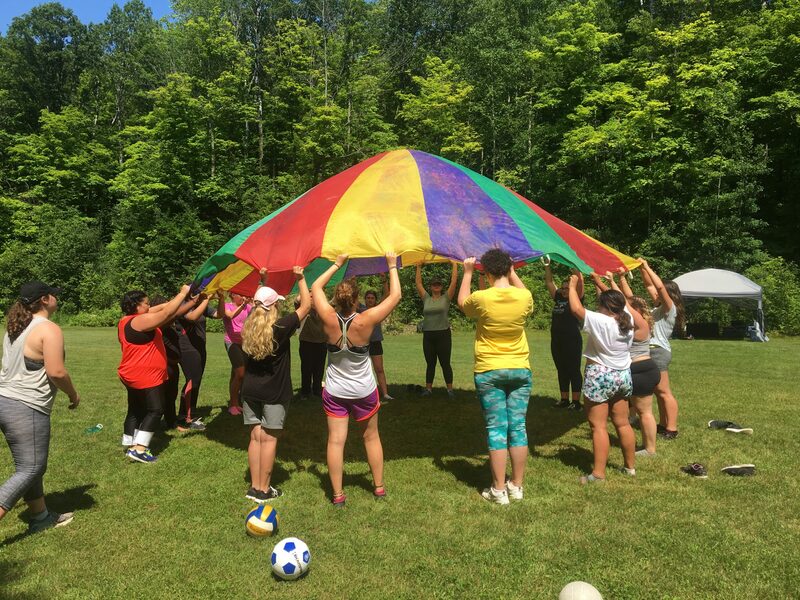 Staff at the Active Challenge program come with credentials including Advanced Wilderness First Aid, NLS, Aquafit, and swimming instructors, fitness and sport coaching certification and diplomas in Outdoor Adventure Leadership and Fitness. Our staff couple their credentials with their enthusiasm. An unstoppable combination for a summer of fun. Jill has been a working professional in camping and outdoor leadership for 20 years. Jill grew up in residential camping, having attended and worked at Camp Hollyburn for a total of 16 years. Jill received a specialization in therapeutic recreation during her undergraduate degree in Outdoor Recreation, Parks and Tourism from Lakehead University, she then went on to a graduate residency in Environmental Education at Utah State University. Jill is an outdoor skills instructor-trainer and teaches with the Algonquin College Outdoor Adventure Leadership program. Jill has been operating Bear Creek Outdoor Centre since 1999, and is dedicated to seeing participants grow in their self awareness and determinism through outdoor adventure and quality relationships. Active Challenge is the most powerful program that I have ever been a part of. 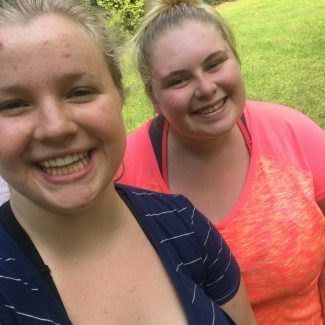 Active challenge is about so much more than losing weight…It is about gaining…strength, perspective, confidence, friendships, knowledge, and understanding. I have never been so proud to be a part of something. Active Challenge participants are an inspiration to me every day. Pascale is a Registered Dietitian who teaches our campers to eat for a healthy life. She is a public health Dietitian with the City of Ottawa, co-author of the FueltoXcell healthy school foods project and mentor to young women as a part of the Ottawa G.O.A.L.S (Girls, Obesity, and Loving Support) program. 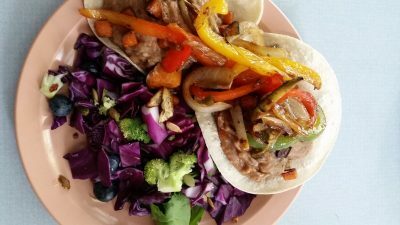 Pascale instills a real approach to eating using Canada’s Food Guide to Healthy Living which is the cornerstone of the Active Challenge nutritional program. All of our staff are looking forward to meeting you and helping you achieve all of your goals this summer.